As many daily drivers and commuters are aware, the greater Boston area has notoriously congested and busy major highways. These highways, especially the Massachusetts Turnpike ("Mass Pike"), Route 128, I-93, and I-95, are often packed with cars, trucks, buses, delivery vans, and big rigs. Further, many travelers are speeding to and from the Boston metropolitan area and frequently do not practice safe driving techniques. Moreover, other motorists who are not familiar with the roads may switch lanes suddenly and without warning. This negligent driving. The experienced Boston car accident lawyers have successfully handled countless car accidents that took place on Massachusetts' busiest highways. We know the intricacies of each highway, having traveled them many times ourselves. Call our Boston, Cambridge, or Quincy office for a FREE consultation at 617-225-2100. There is no debate that the Pike, 93, 95, and 128 are all heavily traveled at high speeds and often feature some of the area's most frantic, geographically unfamiliar, and dangerous drivers. Whether you are entering or exiting the city or merely passing through, there is always an inherent risk. The congestion, constant construction, drivers not confident in their direction, poor weather conditions, and many other factors contribute to the high incidence of serious accidents causing severe injuries and wrongful deaths. The greater Boston area is constantly buzzing with sports events, entertainment venues, colleges and universities, theater, restaurants, concerts, and many other happenings. In short, it is a beehive of activity. This also attracts thousands of drivers to the area's highways. There are simply too many cars for the road and the high speed limits, exit and entrance ramps with little or no warning, frequent road construction projects, etc. all lead to a high incidence of serious car accidents. Serious injuries commonly include broken bones, spinal cord injuries, closed head injuries, traumatic brain injuries, burns, severe lacerations, and many others. The above factors, unfortunately, often combine to create especially serious car accidents. Our Boston car accident attorneys know that the injuries or wrongful death victims and their families suffer can be debilitating on many levels. We know about the staggering medical bills, long rehabilitation, inability to work and lost wages, and the intense pain and suffering. We know that the circumstances surrounding each accident is unique and calls for a thorough and swift investigation. We also have decades of experience successfully handling car accidents that occur on our highways and know the nuances involved. 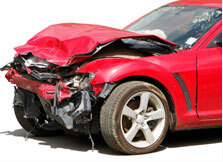 Call the Boston car accident lawyers at Bellotti Law Group, P.C. at 617-225-2100 before speaking to an insurance company, so you don't risk accidentally damaging your case or settling for less than you deserve. Our attorneys ensure that you receive rightful compensation for all of your damages, so you and your family can focus on recovery. We serve all of Massachusetts and Southern New England. You can also contact us using our safe and secure form and we will promptly respond.